“A lot of times we played places that got fear in ‘em, where some fear went down. East germany, you know Dresden, places that aint particularly happy” …so Mad Mike said after playing post – cold war Dresden in the early 90ies. 20 years later the fear is gone, all the ruins got rebuild and the streets cleaned up. The hippies finished studying architecture, bought the squat houses and now complain about noise after 10pm. Everything is more colourful and save now, there are no more nails sticking out the jungle gym. But what happened to the dirty basements, the fucked up backyards and abandoned factories? The places we called our playgrounds? Of course! You say. Thats the way it goes! Stop crying, move on, get a wife and a job! 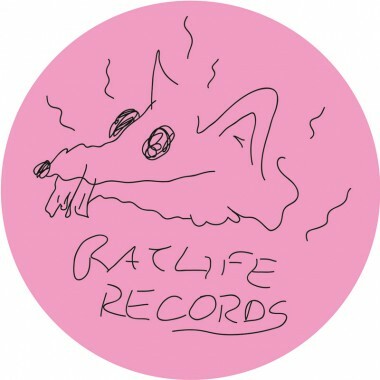 Well some of us did not manage yet, and to those we want to dedicate Rat Life Records, reflecting the imperfect spirit of life in dirty raw dance music and its natural environment. Providing tools for a working DJ’s night out in the wilderness, sending your intoxicateded mind back to the dance floor of a smoke filled dungeon where the music is too loud to talk about your favorite genre, what format you prefer to play or how much your record collection is worth. So all you can do is listen, dance and get lost in the sound. Lots of Buy links for the vinyl.